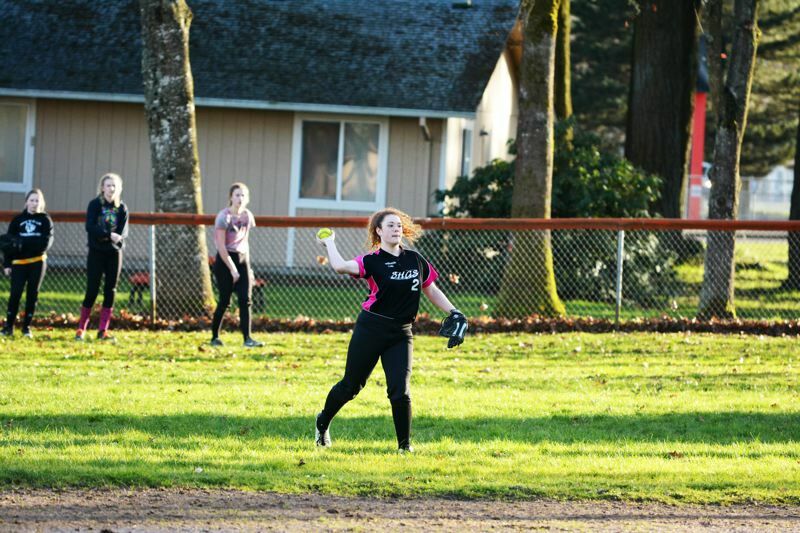 The Scappoose School District board of directors has taken the next step toward improving the softball field for the girls' varsity team to comply with federal anti-gender-discrimination standards. On Wednesday, Nov. 22, the school board voted to approve using up to $100,000 from the district's cell phone tower fund to pay for upgrades to the softball field, which include the construction of a bathroom facility and a concession stand. The district currently has $203,548 in the cell phone tower fund, according to Finance Director Mitch Neilson. Money in the fund comes from lease payments made by American Tower to the school district for several cell phone towers erected at the high school in 1996. The district receives $40,000 annually from the lease payments. In 2016, an audit of the district's athletic program revealed inequalities between resources for the girls' softball team and the boys' baseball team, which was a violation of Title IX standards. Title IX is a federal regulation requiring schools to evenly distribute school resources across genders in public school systems, including athletic programs. Sustained noncompliance or violations of the regulations could mean a loss of federal funding for the district. The audit found that the girls' softball team did not have access to permanent restrooms or a concession stand. The field also lacks paved access to the bleachers, which does not comply with Americans with Disabilities Act regulations. In April the school board took its first actions since the completion of the audit the year prior and developed several proposals to improve the facility. A draft presentation at the time outlined nearly $88,000 in needed upgrades. Interim Superintendent Ron Alley said the district is working with an architect to develop a rendering of the restroom and concession stand prior to the district requesting bids for construction of the project. During the Nov. 22 meeting, which occurred just prior to the Thanksgiving holiday and was noticed only two days prior, only one board member, Jim Hoag, was physically present, while three other members, Michelle Graham, Angela Schillereff and Will Kessi called in by phone to constitute a quorum. The board voted 4-0. Board Chair Phil Lager arrived late to the meeting after voting had taken place, according to draft meeting minutes. When asked why the meeting was scheduled before the holiday break and not at the board's next work session in December, Alley noted it was a matter of timing. "Time is of the essence at this point because our first home softball game will be the first week of April, weather permitting. With permits, drawings, construction bids and other factors we wanted to be able to provide a 3 month window to get the project completed," Alley stated in an email to the Spotlight. He explained that the scheduled Dec. 11 board meeting, coupled with the holiday break and the shortage of construction companies available due to the current boom, could have delayed a desired Jan. 1 start of the project, which he hopes to complete by the softball team's first home game in April. Alley said myriad factors could delay construction as well, including the high demand for construction resources. "The economy is going very strong right now and many construction companies are busy. We have had other projects held up because of this factor," Alley wrote. "This project has been put off for some time and the board and I want to complete this project for our student athletes and provide a nice facility for the district and community."